The title is intriguing, but when I started reading “The Soul of Money,” by Lynne Twist, for one minute I thought this was a goody-goody, feel-nice book, and nothing else. “All these projects with the “poorest” people in the most “poorest” countries of the world is just too much a deal for idealists,” – you may think. This book can transform you to a better person, by helping you understand the bigger picture of money in our society. Lynne Twist guides the reader into a journey of reflection –and one does not notice it. By sharing her very personal experiences, feelings and thoughts, she may open yours. The ones that we shy away from freely taking about. 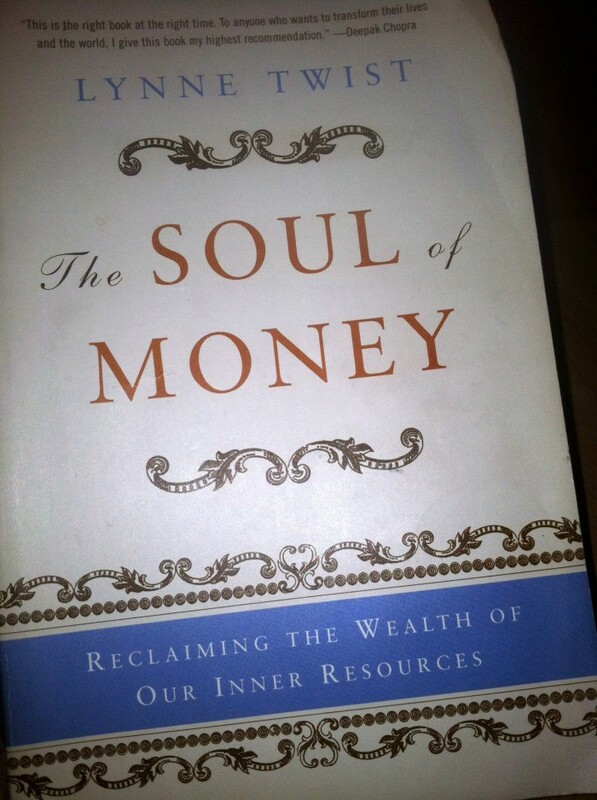 You keep reading and you’ll find yourself immersed in deeper thoughts about what money is and is not. You’ll become aware of real struggles around the world and feel connected. Struggles people are going through whether they are poor or rich. You’ll find a compelling arguments about “Sufficiency” and “Scarcity,” and how understanding the soul of money can reshape your life starting right at the moment you are reading. You’ll find yourself inspired, at a place many of us aim to be. It happened to me. I read it before taking a leap of faith and moving to another country. It was my guide during my first steps towards realizing a long time dream. Thank you Lynne Twist for such profound work, and for the work you offer beyond the book, so that people can act better towards themselves, and others. Highly recommended for those ready to act with an open mind, and be willing to change rooted beliefs about life and money.